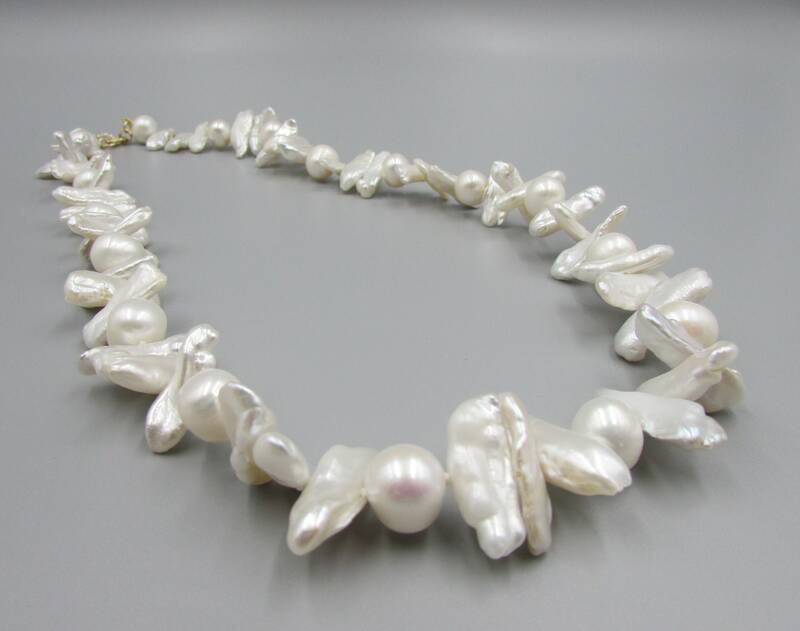 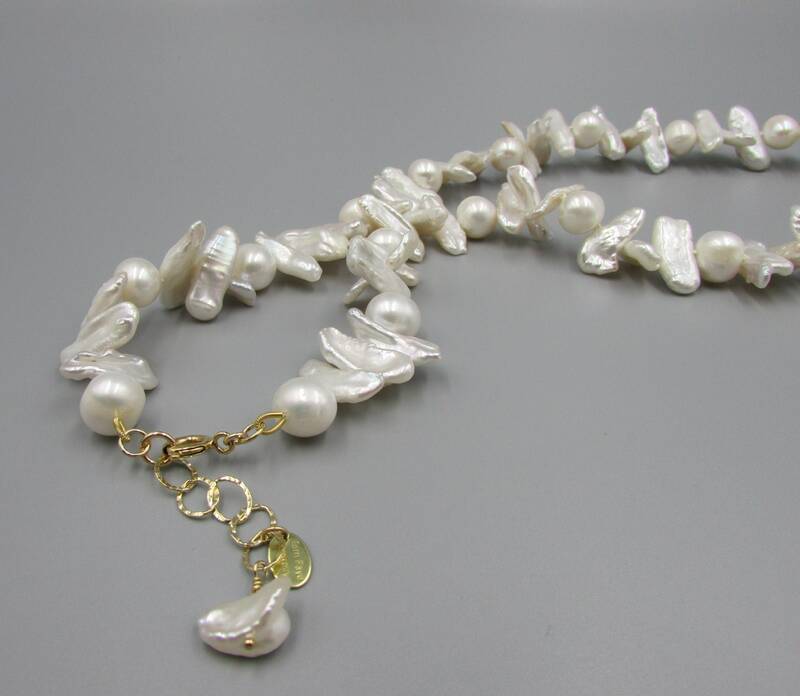 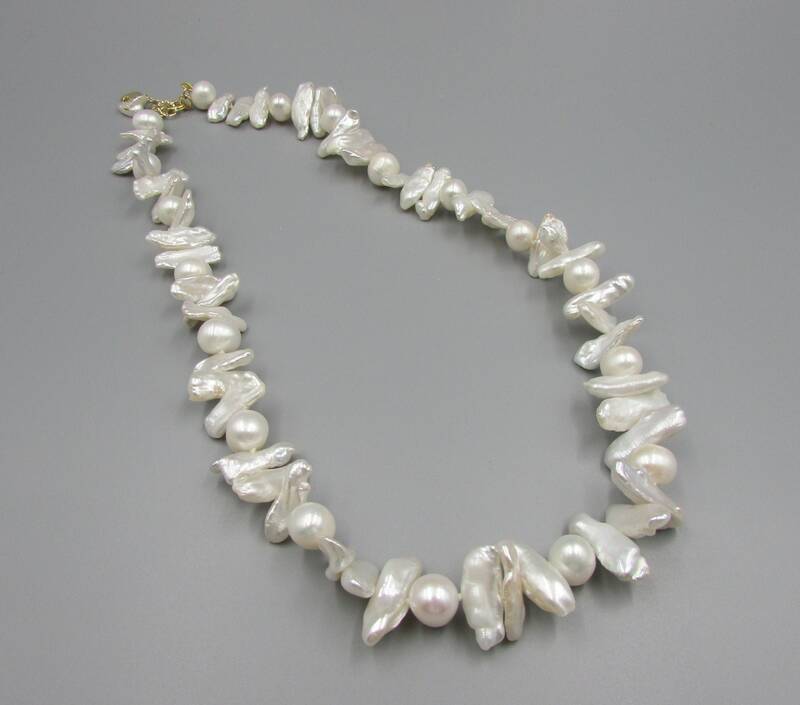 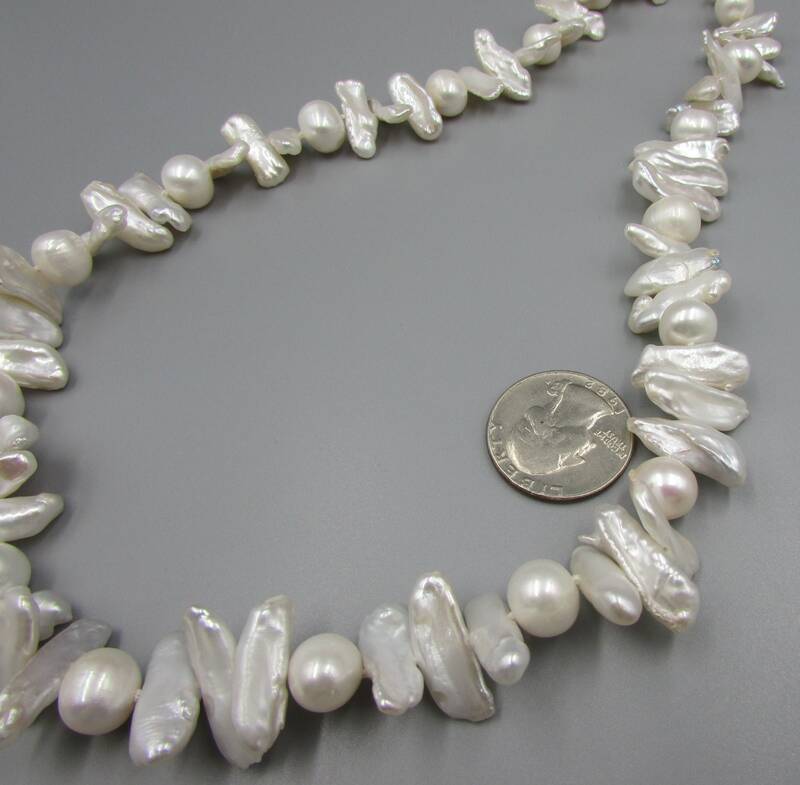 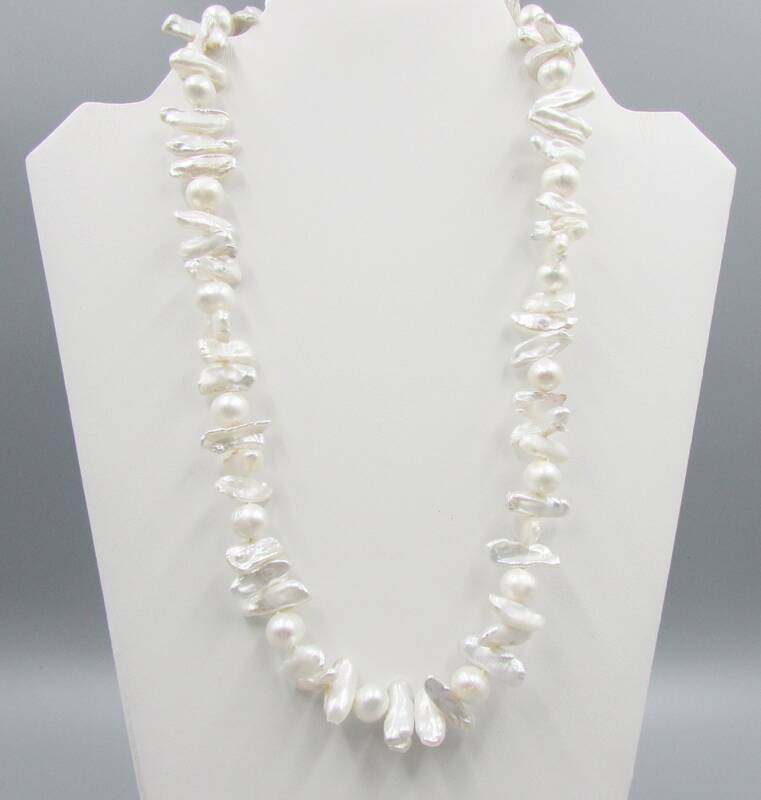 A beautiful white pearl statement necklace is created with 9mm white potato pearls hand knotted on double pure silk thread with biwa white pearls to make this stunning pearl necklace. 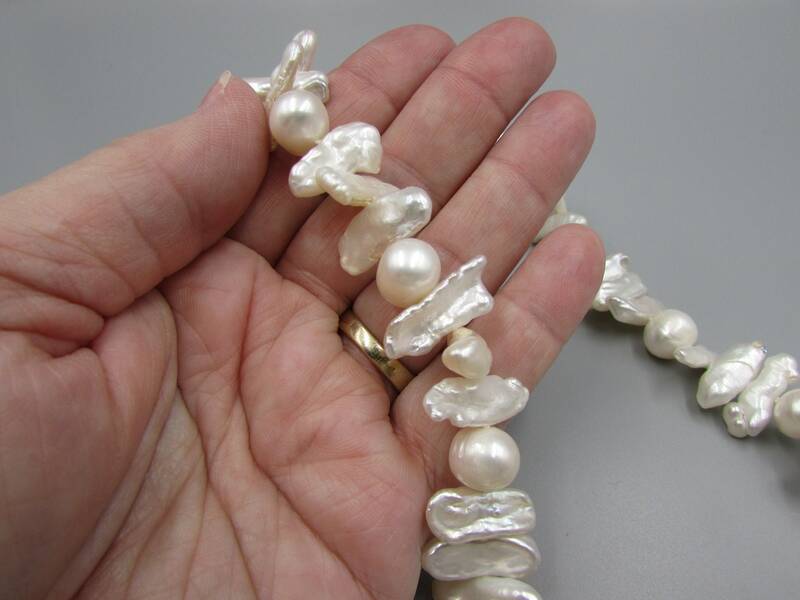 The pearls are high quality and have a lovely luminous luster and shine. 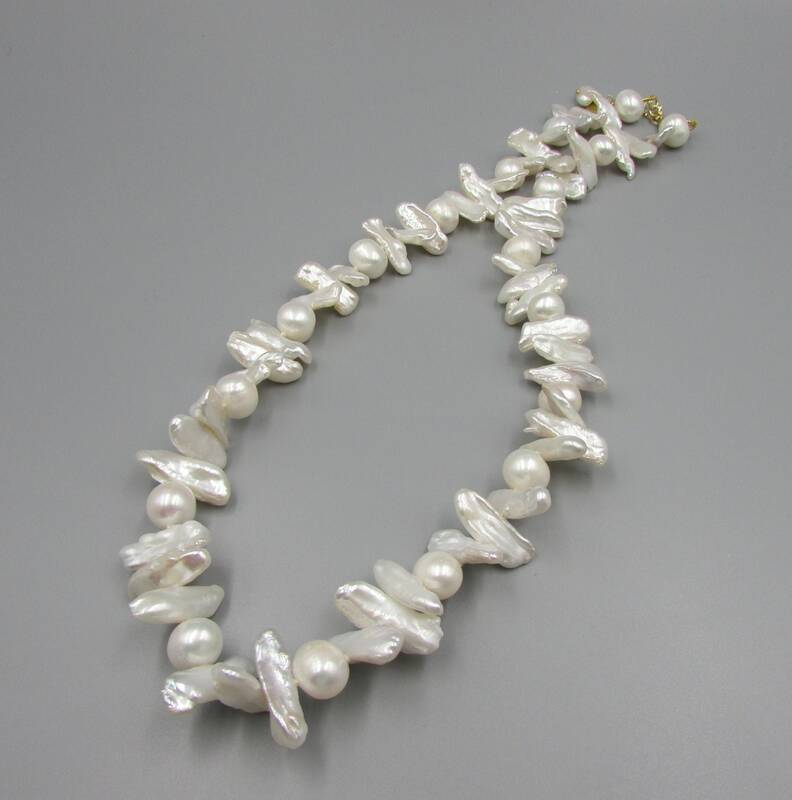 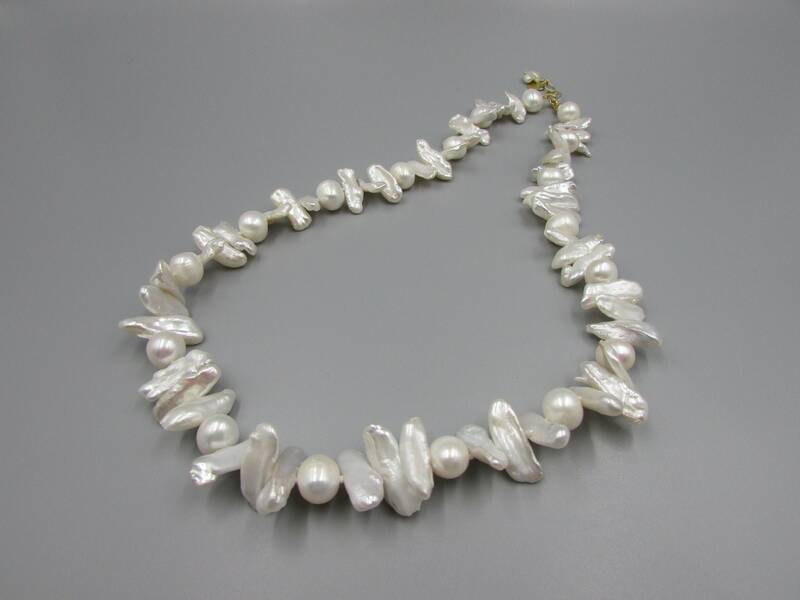 The width of the biwa pearl are around 8mm x 38mm or about a inch wide. 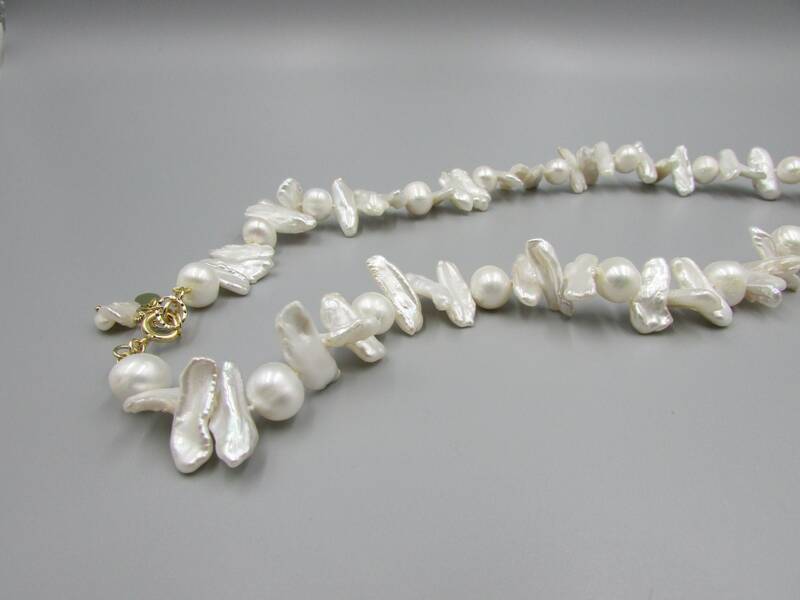 The necklace is 22 inches long and finished with 14K gold filled 1 inch extension chain and gold filled 8mm spring lock clasp.